The one thing I appreciate about education is you can look back and realize that things could have been better . . . if you only knew. That was my realization after I completed the TQA (Transport Quality Assurance) Plus class, a class about best practices in transporting or moving hogs. I have moved my share of pigs in the past and to be honest, the experience was quite exasperating. I soon found out that yes, there is a “science” to moving pigs. TQA Plus is part of the WeCare initiative. The WeCare program demonstrates that people in agriculture are accountable to established ethical principles and animal well-being practices. TQA was developed for all people involved in animal movement, such as transporters, farmers and handlers. All hogs need to be moved at some point in their lives. They may need to be moved from one barn to another, from one pen to another or from the barn to a truck that transports them to either meat packer or another farm. And believe this or not, but there is a “science” or a specific way to move pigs and a class to teach the proper method of moving pigs. My first TQA class was conducted in a classroom environment with a trained TQA advisor. The TQA advisor is required to be certified in order to teach the class. Upon entering the class, we received a 65-page Transport Quality Assurance manual. Certification is for three years, at which time a recertification class is required. I will share a couple of the key points of the TQA class. One important aspect in moving hogs is to know and understand the natural behavior of pigs. By understanding how a pig will react in certain situations, handlers can work with the hogs instead of against them. A win-win for both the handler and the pig. The end result is a relatively stress-free movement. One important aspect I learned is pigs have a fight or flight response. When a handler moves into a pig’s flight zone, the pig will move away. 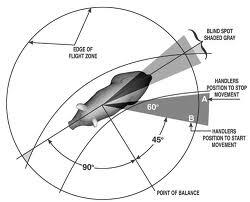 We discussed in depth the pig’s flight zone, point of balance and blind spot, as well as other issues affecting a hog’s movement. Just knowing where to be in relation to the pig is the key to a successful and stress-free movement, as well as animal well-being. 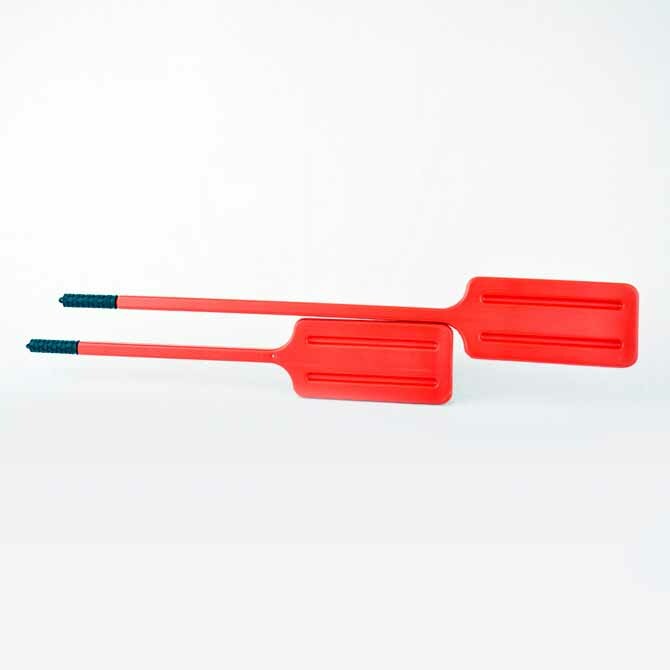 The shaker paddle is the tool of choice to move pigs on our farm. It is a large plastic paddle that makes noise when you shake it. Between knowing the pigs’ natural behaviors of “fight or flight” and the use of the shaker paddle is usually enough to move the hogs in the direction you want. For more information on moving pigs, watch the video. Why is it important to move pigs in a stress-free way? Not only is it beneficial to the hog and to the handler but it will also affect the quality of the pork. The goal is to have RFN type of meat. RFN is a reddish pink and firm. It is most desirable in color, firmness and water-holding capacity. These are the characteristics that make pork delicious. On the flip side of the coin, if a hog is stressed as it is moved to the truck, the meat quality goes down. It will end up as PSE, which is a pale pinkish gray, very soft and does not hold water. It is undesirable in appearance and shrinks. The meat ends up being very dry and not desirable by the consumer. There were many other aspects of hog movement that we learned. At the end of the class, we were required to pass a 50-point test to be TQA certified. Farmers want nothing more than to earn consumers’ trust by raising and/or growing their food using best practices. Pig farmers have stepped up to that challenge by putting into place programs that educate those who care for hogs. As a hog farmer, we continually make improvements in how we raise our hogs. I am appreciative of the programs, such as PQA+ and TQA+, made available through the Pork Board that makes us better farmers. These programs are possible through the pork checkoff, which is funds every farmer contributes to when they sell pigs. Here is a video from my farm as we moved pigs into the barn. These pigs are newly weaned–about 13-15 pounds and three weeks old. Do you have any questions about how hog farmers move their hogs? Anyone have any experience in moving hogs and are willing to share their story?